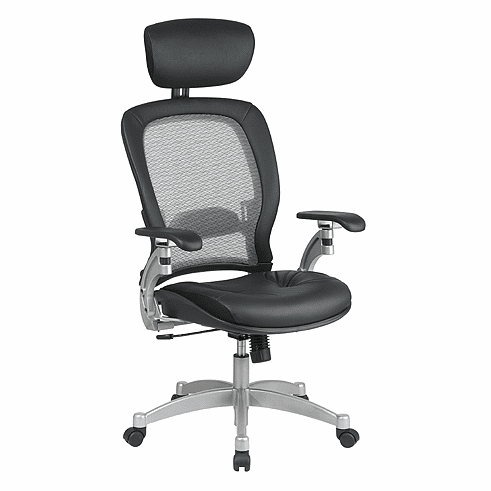 A professional, comfortable mesh office chair at a fraction of the cost of a Herman Miller Aeron chair. This lavish executive chair with one stroke pneumatic seat stature adjustment, forceful duty angled nylon base, modifiable headrests, and extra-large dual wheel carpet casters is particularly designed to give you pleasure and solace in all heavy official assignments. This chair has its distinctive eminence of black top grain leather with amendable Lumbar support and one stroke pneumatic seat adjustment. Arms to Floor Min: 26"